elli & nels *in stitches*: Oh Sew Kat Doll Clothing Blog Tour! 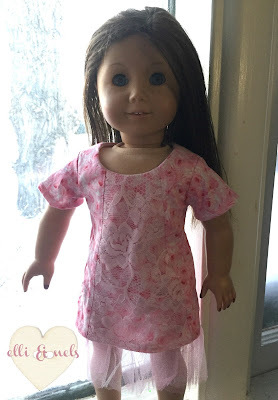 Doll clothes are kind of my weakness, but lately I've been so busy sewing up great patterns for my kids (and myself!) 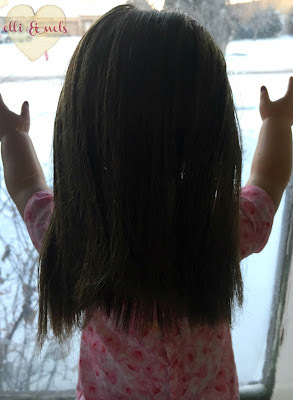 that I've hardly done any doll sewing at all! 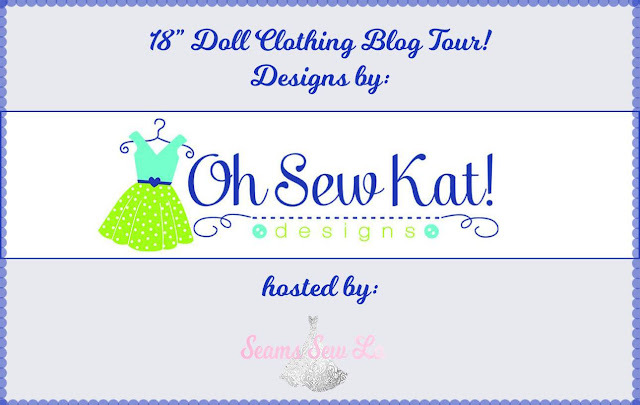 I was more than happy to join the Oh Sew Kat doll clothing tour - the patterns are so cute, and turn out so well! 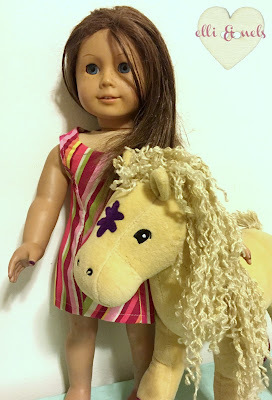 I found the pieces to be well done, and I love the options in this Sunshine Dress. 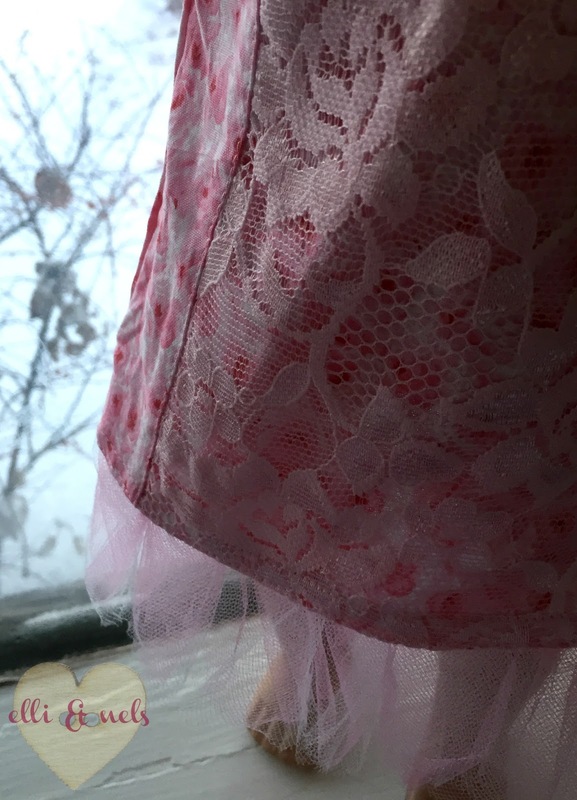 I sewed two versions - one with the included sleeves and a lace overlay, as well as a little tulle ruffle at the bottom (Valentine's Day is coming up! ); the other I left sleeveless and finished the armholes with bias tape, turned to the inside (this is not in the pattern but is easy to do). I love anything with princess seams, so I had to try those! I like the inset on this rosy version. The shape and size is perfect for a little embroidery detail (probably hand, since the pieces are so tiny!) or an overlay like I did. These fun stripes have been in my stash for way too long. 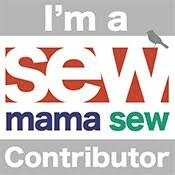 I cut the center on the bias for some contrast - and I didn't have to match the stripes then! The third option in this pattern is a plain front bodice, so there are a lot of design options for whatever fabric/print/scale you are working with! Oh Sew Kat is on Etsy, Craftsy, and sells through Pixie Faire as well - the designs are for 18 inch, Bitty Baby, Hearts for Hearts, and Wellie Wishers, so whatever popular doll you own, you can find adorable patterns to dress them up with! 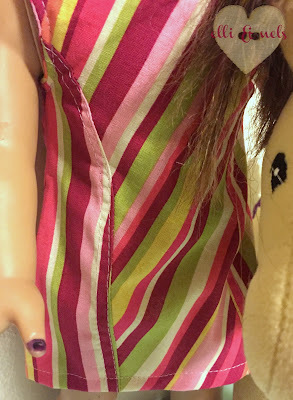 The bias cut center stripes really makes a stunning dress. Good job! Thank you! It's such an effortless detail. The way you positioned the stripes is so great! 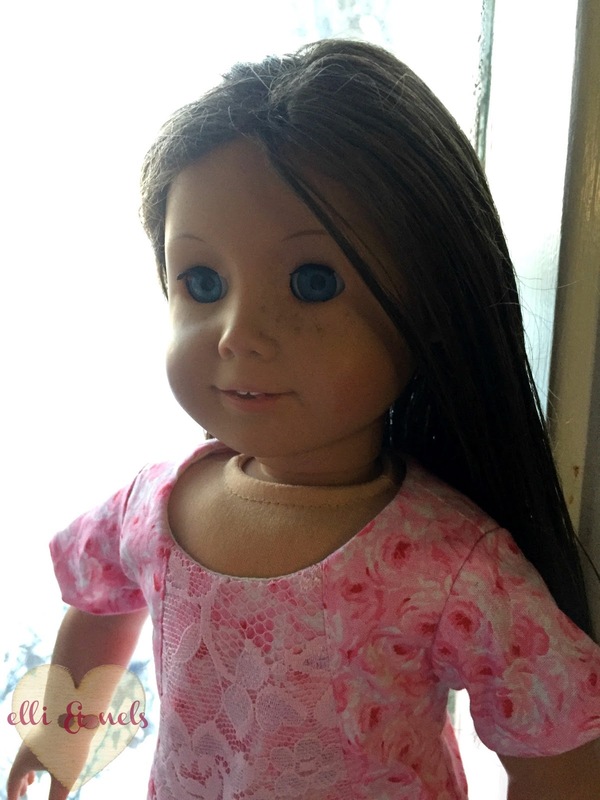 Love your doll dresses! I just love the lace overlay!! I love how you played with the stripes!